The latest patch for the zombie survival game is pretty big. 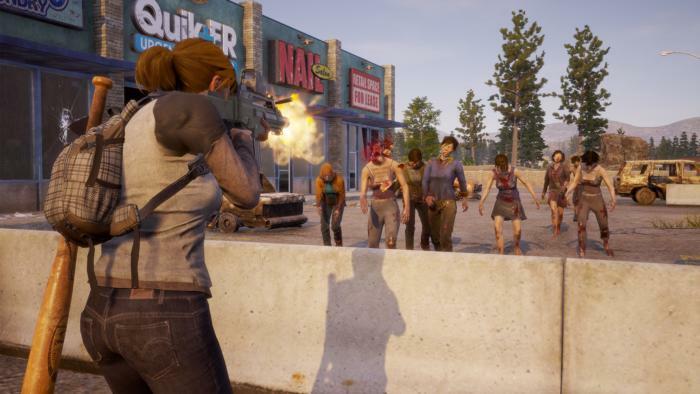 Undead Labs’ State of Decay 2 wasn’t in the best possible state when it initially launched last month. Numerous bugs, crashes and other glitches were pointed out and that’s not including the issues that players have had with co-op. Though a day one patch helped fix some issues, a number continued to linger until this latest update. Weighing 20 GB, which is almost the size of the original game, patch 1.2 has quite a lot of fixes. Such fixes include those for rare bugs like the Warlord Legacy arc not being completed or the Sheriff Legacy arc not starting. For multiplayer fans, host facilities will no longer be invisible to clients. If a client drops connection, the game will exit to the main menu faster ensuring players won’t be left hanging after the pop-up is dismissed. Optimization has also been done to the visuals to reduce LOD popping and a reduction to glowing props. Additional lighting tuning passes have been done. Check out the full change log below and let us know what you think in the comments.